Get a first-hand look at how maple is made, from tree to table. This is your first chance to taste this year’s harvest, right from the farm. Access to 14 kilometers of cross-country ski and snowshoe trails, two on-site museums, or enjoy a traditional pancake meal by the stone fireplace in the restaurant. 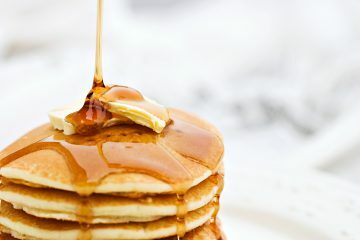 Lively pancake lovers fill the room to enjoy a traditional brunch featuring pancakes made from a secret family recipe. Arrive at Maberly Hall between 10am and 1pm. Share a meal with over 40 pilots that fly-in on their small aircrafts from eastern Ontario and western Quebec, a community tradition since 1964. Arrive at Russ Beach airport between 7:30am to 11:30 am. Learn about craft beer on a bus from Ottawa , visit the Ashton Brew Pub, Stalwart Brewery, Perth Brewery & Top Shelf Distillers or the NEW Braumeister! Experience the grand finale of maple season at our sweetest celebration. Maple syrup, live music, kid’s activities, and classic cars. Get together for a home-made breakfast with the local community at the snowmobile club at Snow Road station. Sample local specialties and hear rich and interesting stories of friendly Almonte (Fridays & Sundays) or the historic murals of Carleton Place (Thursdays & Saturdays) on a guided 3-hour tour. Beginning May 4 through October, you can meet local farmers in Perth, Carleton Place, McDonald’s Corners and Almonte.